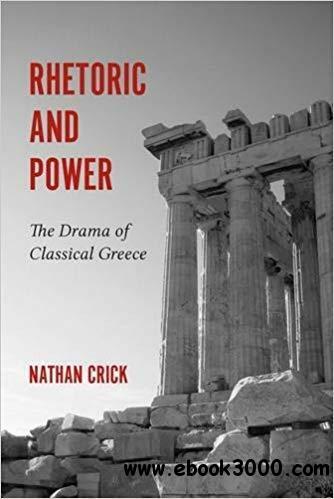 In Rhetoric and Power, Nathan Crick dramatizes the history of rhetoric by explaining its origin and development in classical Greece beginning the oral displays of Homeric eloquence in a time of kings, following its ascent to power during the age of Pericles and the Sophists, and ending with its transformation into a rational discipline with Aristotle in a time of literacy and empire. Crick advances the thesis that rhetoric is primarily a medium and artistry of power, but that the relationship between rhetoric and power at any point in time is a product of historical conditions, not the least of which is the development and availability of communication media. Investigating major works by Homer, Heraclitus, Aeschylus, Protagoras, Gorgias, Thucydides, Aristophanes, Plato, Isocrates, and Aristotle, Rhetoric and Power tells the story of the rise and fall of classical Greece while simultaneously developing rhetorical theory from the close criticism of particular texts. As a form of rhetorical criticism, this volume offers challenging new readings to canonical works such as Aeschylus's Persians, Gorgias's Helen, Aristophanes's Birds, and Isocrates's Nicocles by reading them as reflections of the political culture of their time. Through this theoretical inquiry, Crick uses these criticisms to articulate and define a plurality of rhetorical genres and concepts, such as heroic eloquence, tragicomedy, representative publicity, ideology, and the public sphere, and their relationships to different structures and ethics of power, such as monarchy, democracy, aristocracy, and empire. Rhetoric and Power thus provides a foundation for rhetorical history, criticism, and theory that draws on contemporary research to prove again the incredible richness of the classical tradition for contemporary rhetorical scholarship and practice.